Why shouldn't people enjoy cannabis during their golden years? Did you know cannabis can help ease many common ailments that come with age? Many senior citizens would benefit greatly from using cannabis, and historically they have been the most likely group of voters to OPPOSE cannabis. If you look at polling related to cannabis, the senior citizen demographic almost always shows the lowest level of support among adults. Sure plenty of seniors benefit from cannabis today. However, this is also the same demographic that was taught for many decades that cannabis use was bad, with no exceptions. It wasn't until recently that the truth about cannabis spread with the rise of independent media outlets and social media platforms that have helped activists push the message of reform. Are there any seniors in your life who might enjoy the benefits of cannabis? Many cannabis supporters suggest that if senior citizens would give cannabis a try, they would be more likely to support reform. In 2003-2005, only 29 percent of people over the age of 55 expressed support for legalization. In 2016, that number had jumped to 45%. In 1969 only 4 percent of Americans over the age of 65 supported ending cannabis prohibition. By 2015, that number was up to 35%. When older people try cannabis, they begin to realize that not only are the wellness benefits numerous, but also cannabis prohibition is based on lies. As more older Americans try cannabis for the first time, or come back to using cannabis after a long layoff, expect growing support for cannabis reform to continue among older Americans. How is cannabis beneficial to older people? With cannabis, getting old doesn't have to be so painful. One of the most common health conditions that older people deal with is arthritis. Cannabis can be very effective for treating arthritis, as shown in the Green Flower Beginner Series. Many forms of cannabis, especially topical cannabis products, can do wonders for seniors who suffer from the condition. Another condition that seniors often have to deal with as they age revolves around problems sleeping. Cannabis is very helpful in helping people fall asleep faster and sleep better. Studies have also shown that cannabis can help protect and heal the brain from the effects of aging, which is something everybody can benefit from as they get older. 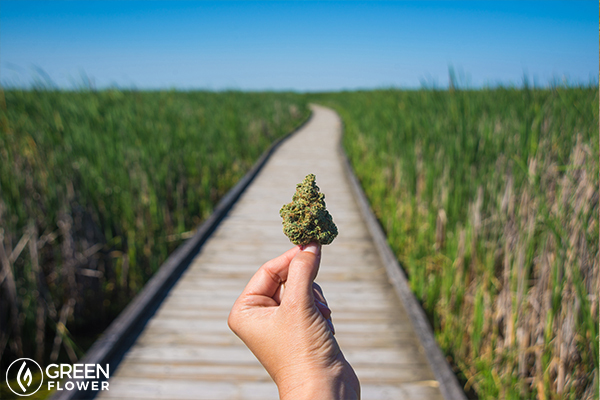 Robert Platshorn, a senior citizen himself, always points out that cannabis can help seniors reduce their use of pharmaceutical drugs. I have heard him talk several times about how he used to be on 12 prescriptions and that cannabis helped him replace half of them. Mr. Platshorn's is not the only senior to do so according to data. Provide information about how cannabis prohibition began (racist origins). Share senior citizen usage and support polling data with them. Show them peer-reviewed studies dealing with the medical benefits of cannabis. 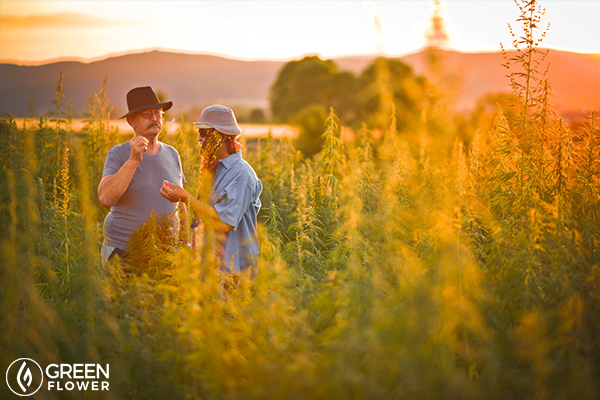 Anticipate any common arguments or concerns about cannabis and be prepared. 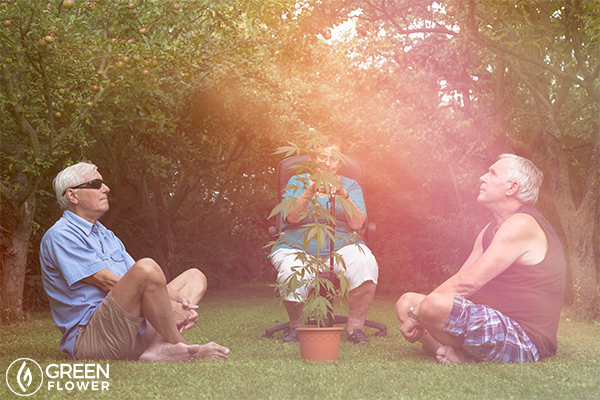 Encourage them to talk to other seniors about it, because chances are they already know someone that uses cannabis. Having a scholarly discussion with a senior citizen is one thing, badgering them is another and will likely turn them off to cannabis. Always be open with them and offer to answer any questions they may have and offer to provide them with learning materials.